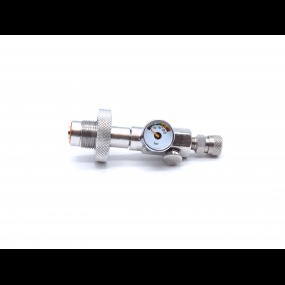 DIN Filling station : This DIN Filling station designed in stainless material has a manometer (gauge) included, you can fill your MiniDive Pro (0.5 L) or Pro+ (0.8 L) directly from a big dive tank and its DIN valve. The connection between the 2 tanks is very simple and takes only few seconds. Sensation are crazy, you don't even feel the tank underwater, actually I forget it, it so lightweight underwater. I use the tank for our boat in Sydney, it last around 13 mins when I'm calm which is enought convinient for me. the filling is also convinient from a dive tank. 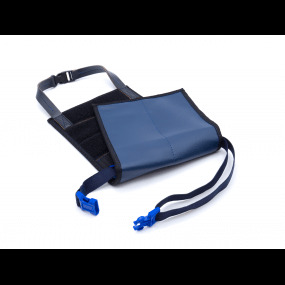 I rate 10/10 because I don't have remark on the minidive serice, they answer quickly by email and the product has been sent the next day of my order. Produit de bonne facture, je redoutais que le harnais ne s'adapte pas à ma morphologie ou que la bouteille tienne mal mais aucun pb sous l'eau. Le seule défaut selon moi est l'autonomie, je fais 12 minutes avec la bouteille mais j'aimerais pouvoir rester plus longtemps sous l'eau sans remonter à la surface pour recharger. I'm satisfied by the service and shipping, 5 days in total to here in SA, I can say that the product is hand made and seels well concepted. I only use this product during my holidays. I am a scuba diver in Thailand and I wanted to start to learn to my son the scuba diving, the minidive pro+ is perfect for this, much more ligher than a classic full gear but with the same sensation. 13-14 minutes of autonomy and enought for the first dives. 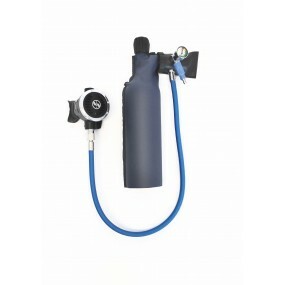 This filling station allows the filling of the MiniDive Pro (0.5 L) or Pro+ (0.8 L) directly from a big dive tank and its DIN valve, the connection between the 2 tanks takes only few seconds.